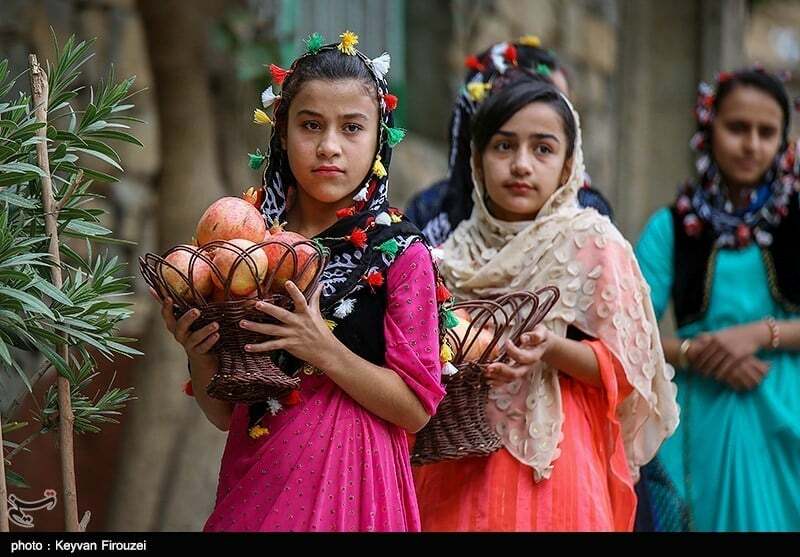 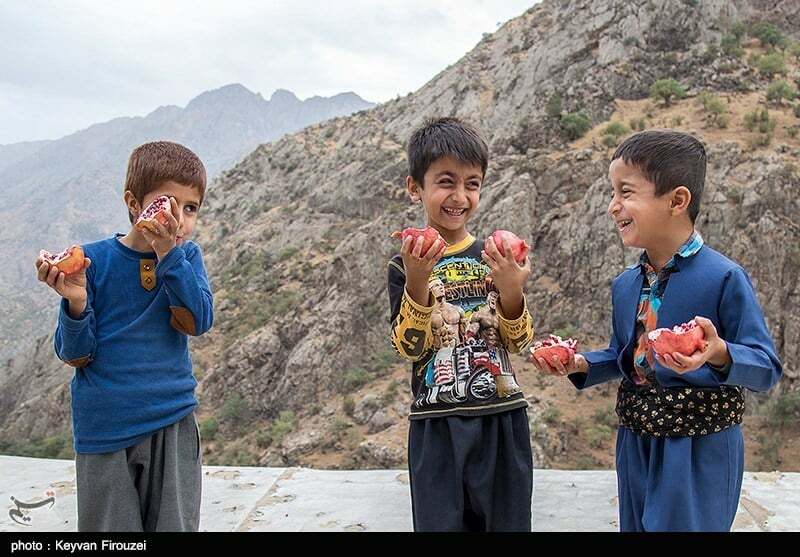 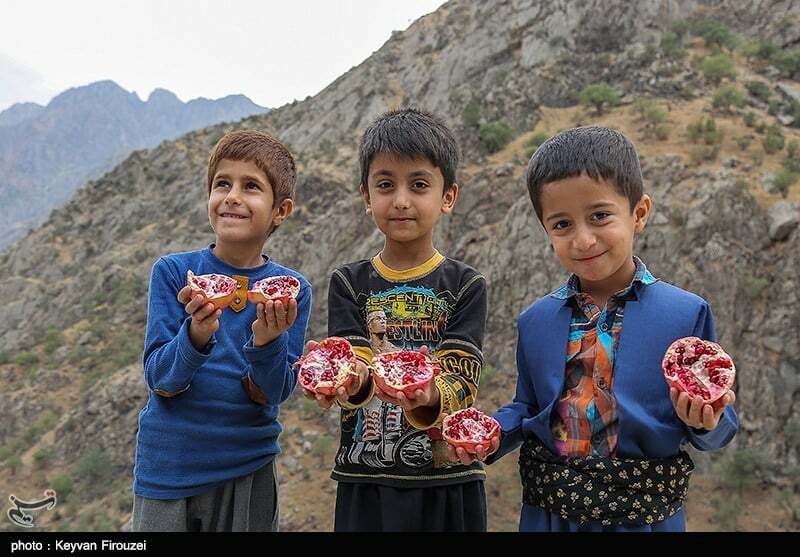 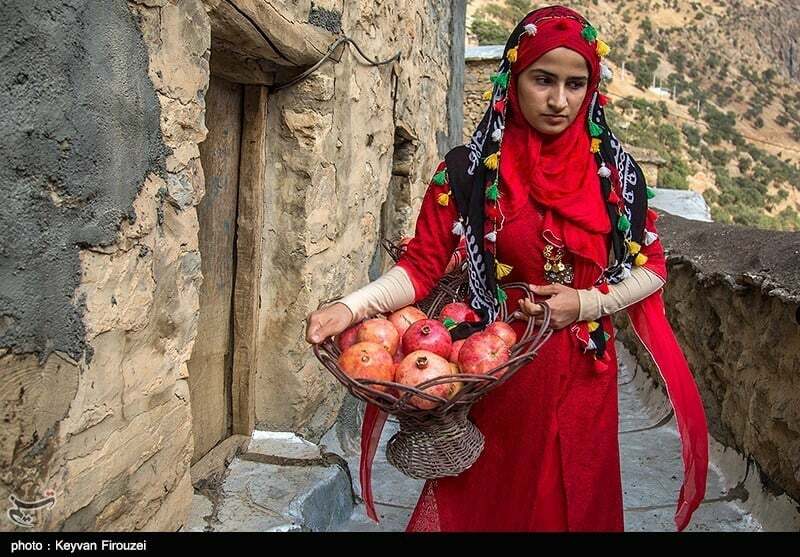 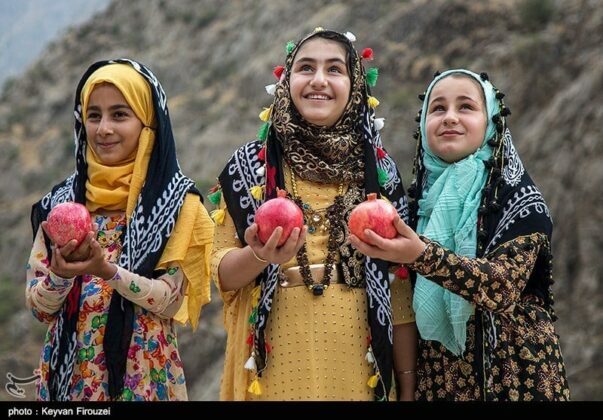 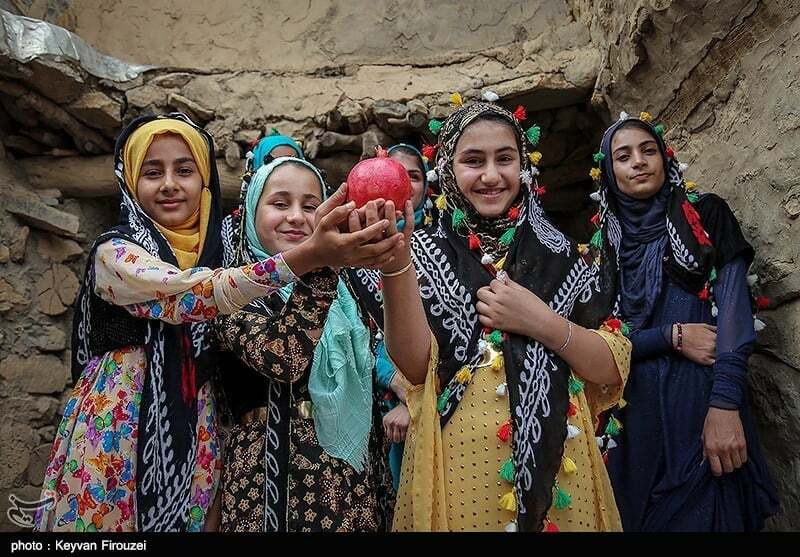 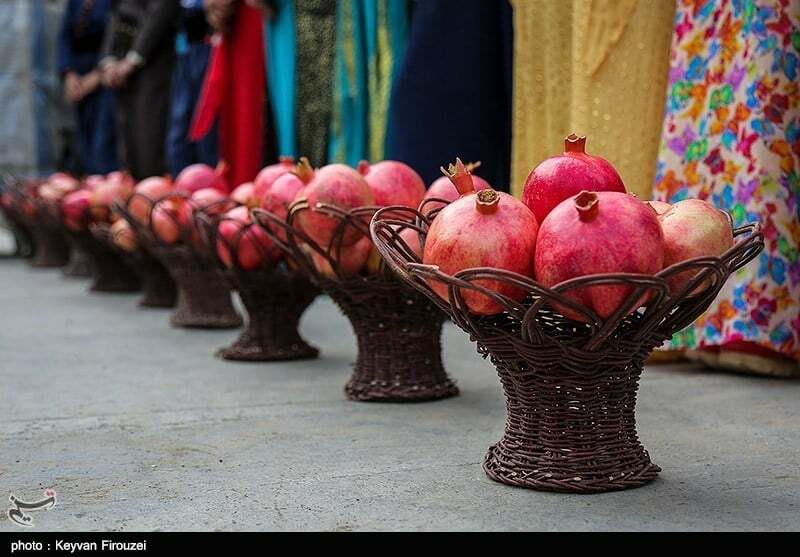 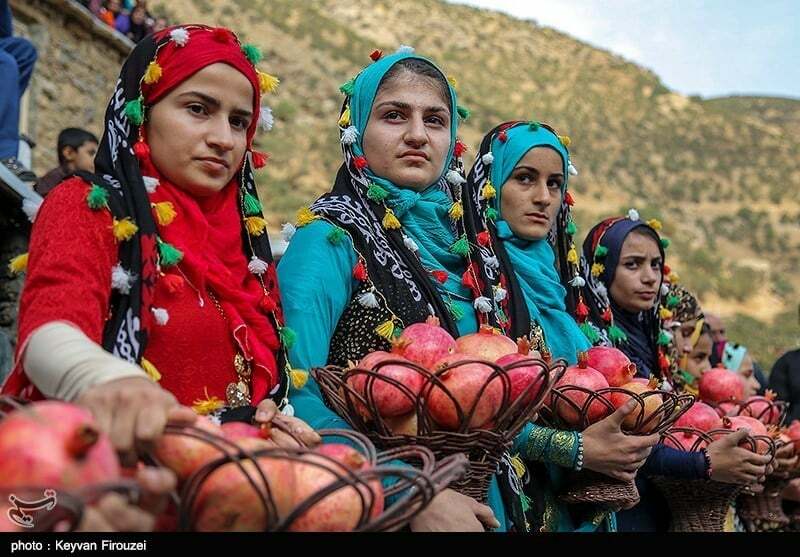 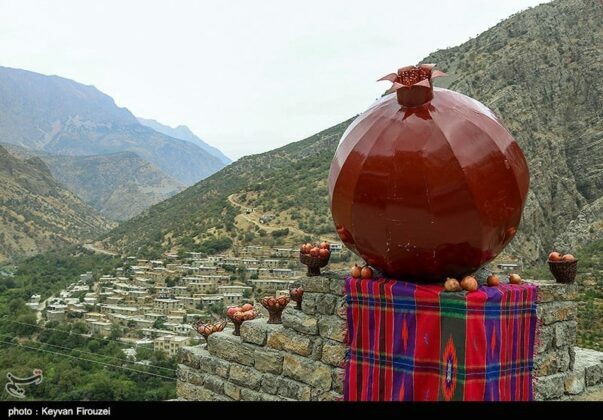 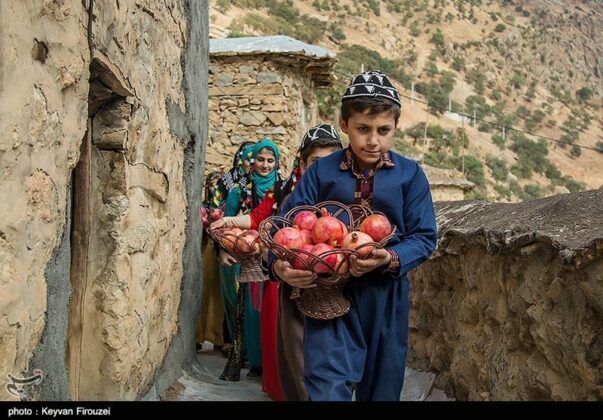 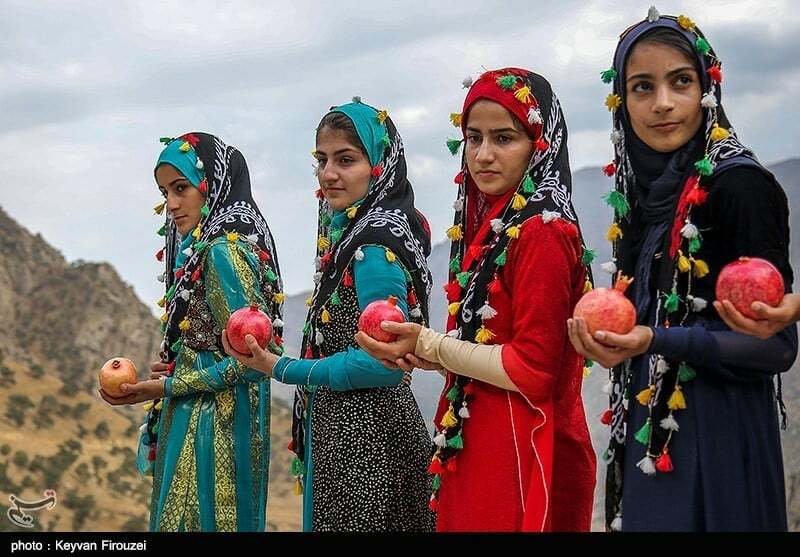 A pomegranate festival was recently held in tourist resorts in Kurdish-majority provinces of western Iran along with other performances and programs. 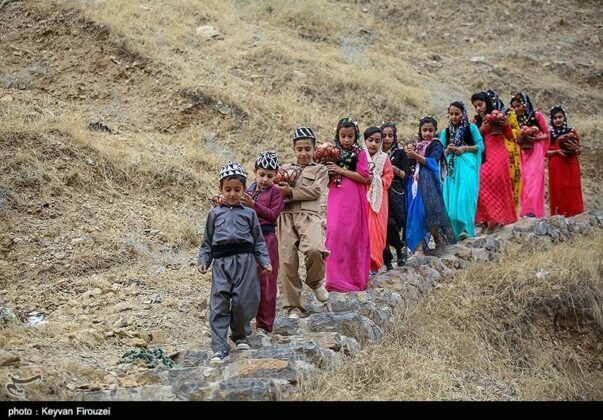 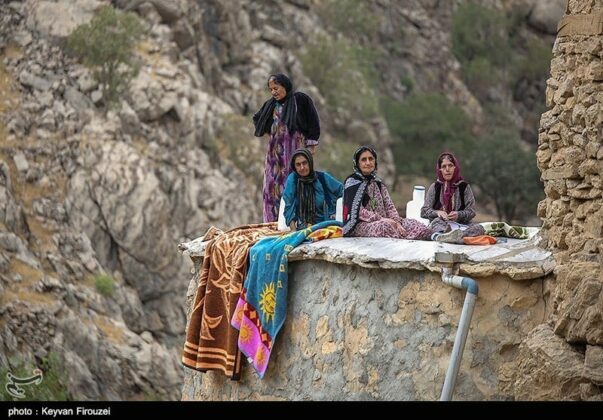 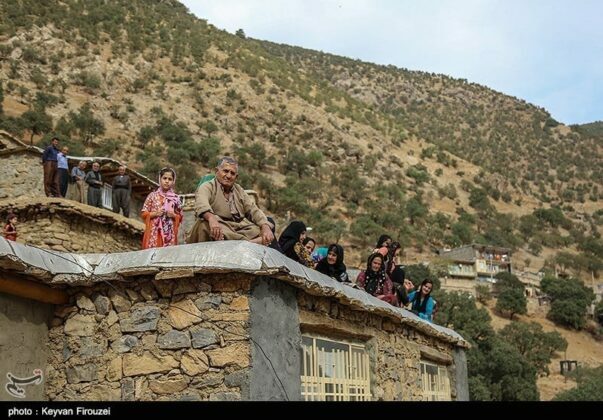 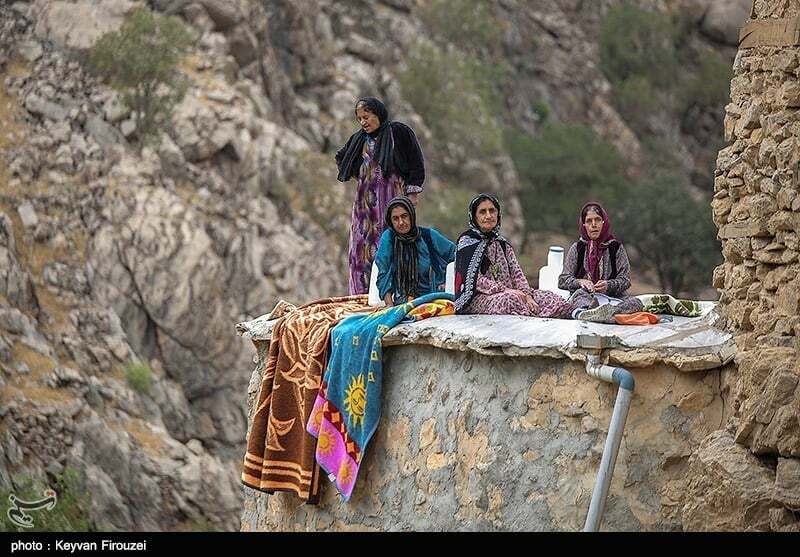 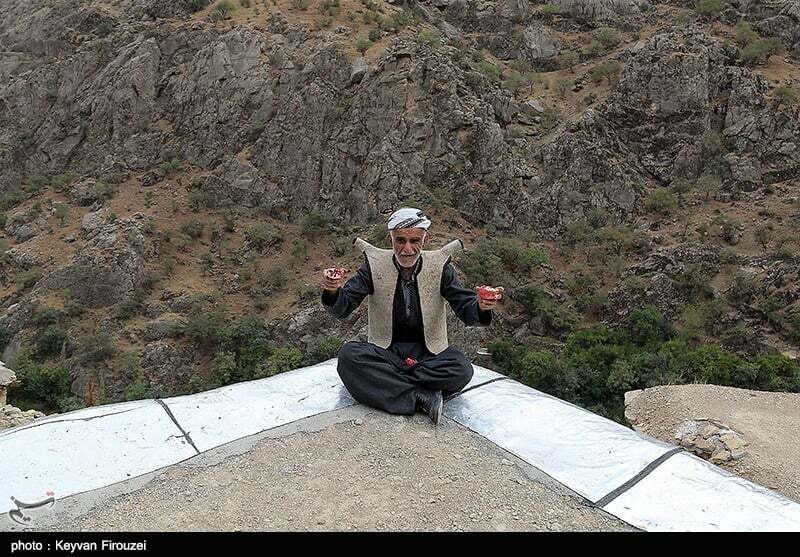 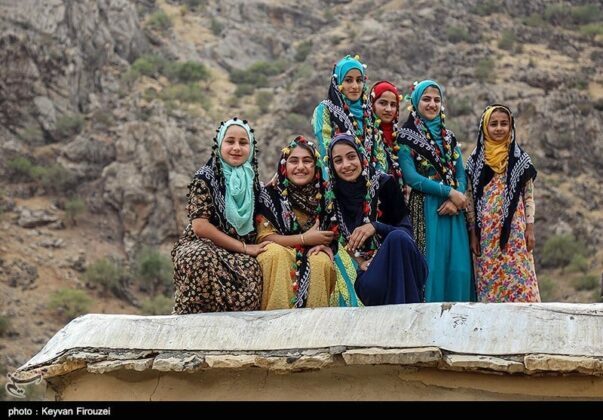 The three-day event was held in tourist villages in Uraman region in Kurdistan and Kermanshah provinces. The festival’s performances began from Naav village before moving on to other villages. 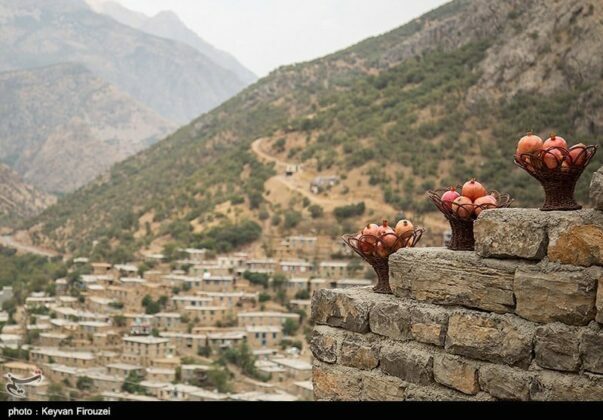 Nestled among several mountains, Naav is a hardly negotiable village with traditional, terraced architecture. Part of the festival featured visits to pomegranate orchards in local gardens by journalists. Due to the huge crowd visiting the festival, there was heavy traffic in routes leading to the venue of the event. 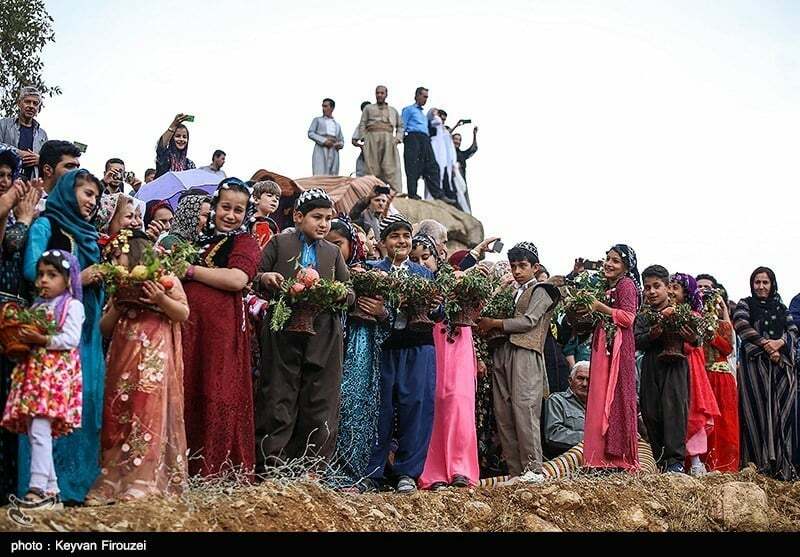 Even torrential rain could not cancel the event and visitors stayed there till the end. 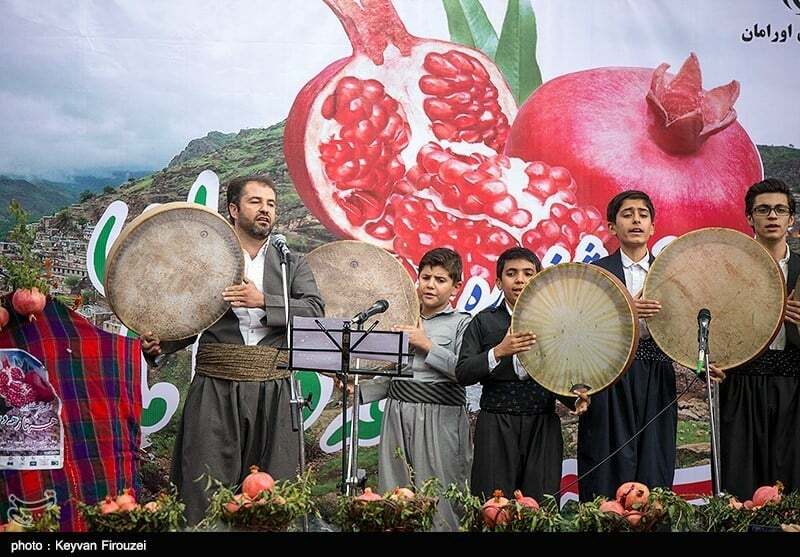 On the first day after speeches were delivered, village boys and girls with Kurdish clothes on began playing musical instruments while singing local poems. 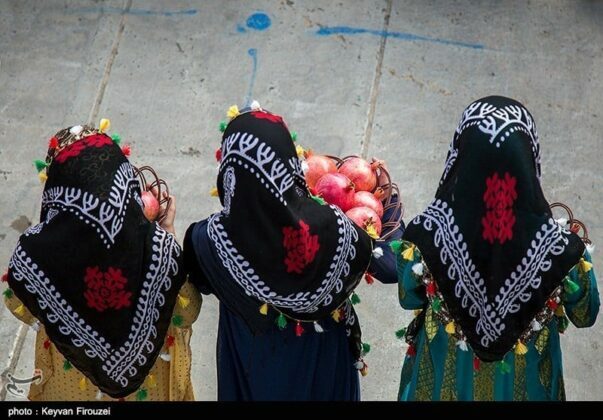 They entered the venue, each carrying a basket full of pomegranates on their heads. 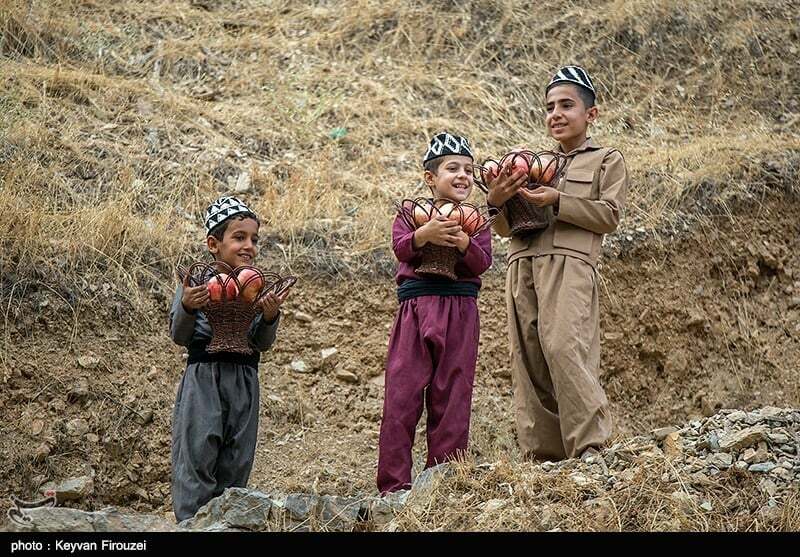 They then grabbed the baskets in their hands before putting them before the officials present there. 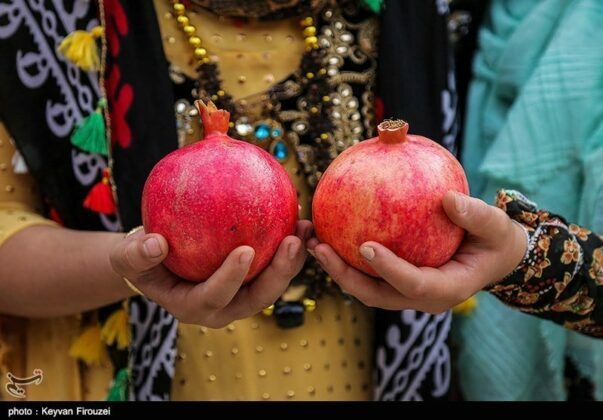 The show is known as the “Pomegranate Dance” in the region. According to local officials, some 200 foreign tourists attended the event. 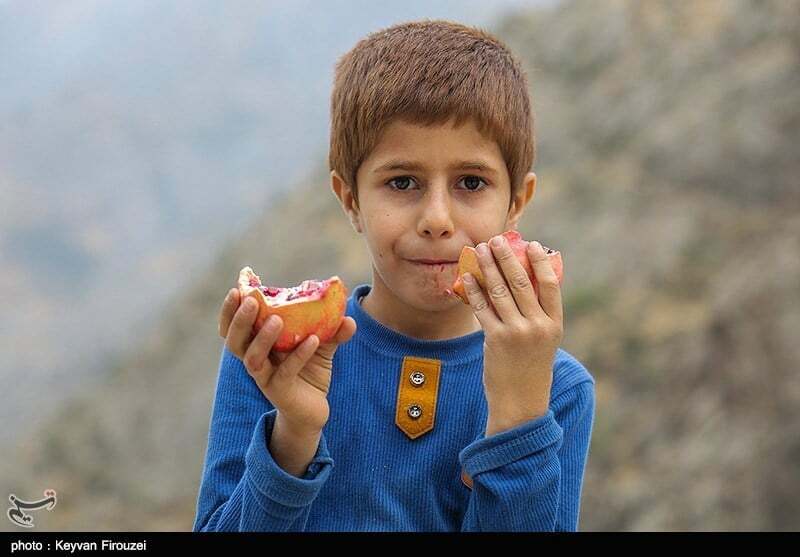 More than 3,000 tonnes of pomegranates are harvested in Uraman orchards annually. 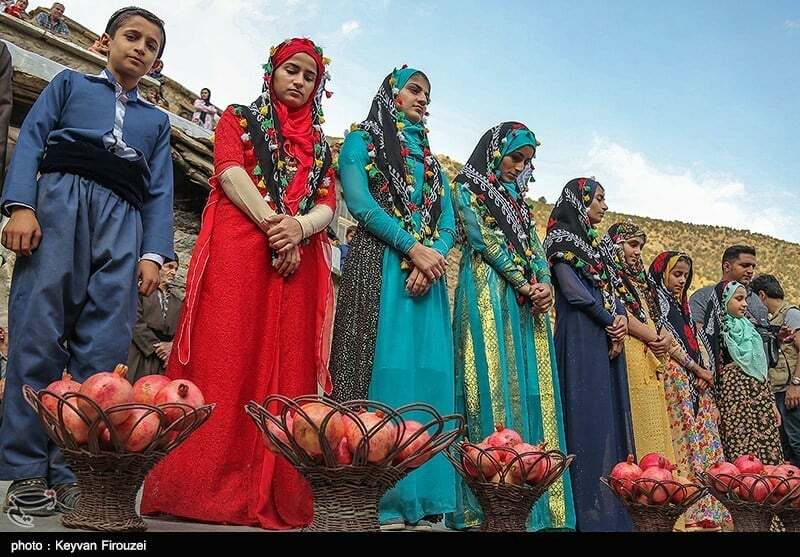 At the closing ceremony, a text was read out to visitors in Kurdish, Urami, Persian and English, and the beauties of Uraman were introduced to them. 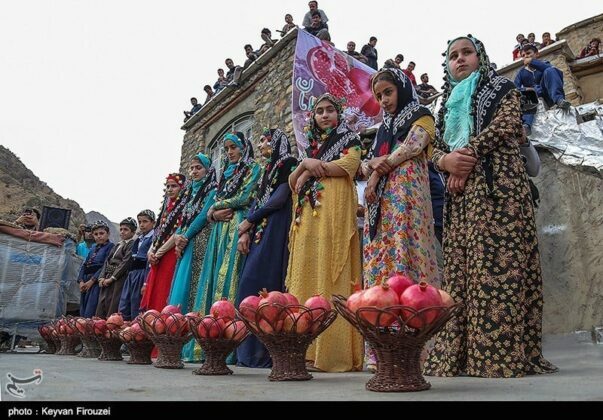 Then all visitors were entertained with pomegranates and they visited the pavilions at the festival.